Outer Rim Coalition: 3: 10 to Kathol. # 13, 16, 21, 26, 34, 38, 93, major contract confirmed by ORC staff in post 166. We can rebuild her – whether she wants it or not! Rationale: Upgrade in tier, change in leadership. Freebie Tier Five Locations: Karakorum, Manas. Locations: Denon, Loronar, Elysium, Lianna, Seltos, Eriadu, Zygerria, Karakorum, Manas. Civilian and military droid creation. This includes combat droids of all sorts, HRDs, infiltration droids or other servitors. Civilian units can include protocol droids, labour and maintenance units and more. Spaceships and vehicles. This can include military and civilian vessels. Warships and attack craft can be manufactured in large amounts for Archangel's usage or sales on the closed market. Planetary defences: Archangel is able to provide various defence systems, ranging from turrets to planetary shields planetary turbolaser cannons, ion cannons and so on. Medical and cloning technology. Archangel is an expert in cloning, either as coverings for HRDs or creating organic clones to be servitors. They are also experts at creating cybernetics. Processing and entechment. Taking organics and absorbing their skills and knowledge into machines is one of the prime concerns of Archangel. Mercenary contracting: Archangel's droid forces are available for hire by interested parties. Services range from providing bodyguards for clients to the deployment of combat units into war zones. Rationale: The company was created by Maelion and Moira Skaldi using their carefully collected resources from their time in the Protectorate. In addition to their wages (which HRDs barely use) the two of them were able to ‘acquire’ a good deal of funds and sellable items when they left the Protectorate. This company is the result of their investment. Archangel Research and Design provides a full range of specialist droid models for the savy customer. Whether you’re looking for a personal bodyguard, an attentive aide or a head-turning companion, Archangel will provide just what you are looking for. Our HRDs (Human Replica Droids) are top of the line models programmed and designed for your needs. We can tailor the unit’s height, weight, appearance and capabilities to YOUR needs. When you need the best, forget the rest, and look to Archangel – Looking Out For You! Advertisements aside, this company was created by Maelion Liates and Moira Skaldi to do what they do best; process organics and create unstoppable droid conquerors design machines like them for use in the private sector. The advantages of HRDs are many, after all both Maelion and Moira were created to fulfil dangerous roles that ordinary organics would find difficult. Therefore, this company is mainly to enrich the pair for their other projects, but also to create more units like themselves which can further those other aims. The pair do not of course reveal their true identities, and have taken aliases whilst running this business. Each HRD designed by Archangel will have secret backdoors the pair can exploit to gather information or control them if needed. It will also provide funds for their research into a processing machine for turning organics into machines. Naturally none of this will be known by anyone except the two owners. Over the years, Archangel greatly expanded its business after acquiring shipyards and opening a marketplace storefront. Large orders and considerable funds were raised gained through these transactions. More recently, the development of a series of stable Force clones to complement their HRD designs allowed Archangel to continue expansion. Striving to merge the strengths of organic and machine, Archangel created a droid-organic hybride in form of Enyo Typhos. However, ultimately the clones were pushed too far, rebelled and launched an insurrection that eventually ended with the apparent destruction of Moira Skaldi and Maelion Liates. Enyo, who amassed considerable resources during her time as an insurgent leader, mercenary and mafia boss, has taken control over the corporation. As far as the outside world knows, Anna Comnena and Nalia Alderana, as Maelion and Moira were known under their cover identities, died in an unfortunate accident, but business is continuing as usual under a handpicked successor. Eschewing the limelight, Enyo runs the company via an HRD proxy, but is in full control of the business. Archangel no longer pursues genocidal schemes to take over the Galaxy and wipe out organic life, as Enyo considers that self-defeating and maintains affection for a select number of organics. However, it is still a very amoral, ruthless corporation that is unconstrained by ethical considerations, though its more unsavoury operations are carefully compartmentalised and kept outside of the public eye. Archangel regards itself as neutral, which means that it is indifferent to its clients' moral and ideological alignment. While Archangel maintains planetary outposts and an office front clients can approach for business, most of the actual production takes place on factory ships. Enyo continues to maintain control over her crime syndicate, the Iron Fist Consortium. Secretly subordinate to Archangel, the Consortium's paramilitary forces do her dirty work. Edited by Enyo Typhos, 09 May 2018 - 09:18 PM. Changing Headquarters: Nar Shaddaa. Expansion thread here. Specialty: Creation of alchemical items, occult research. Even Dark Masters need to make money somehow. With the disbandment of the Inquisition and the implosion of the Atrisian Empire, Sumiko was freed from her leash, but also cut off from Imperial funds. She spent some time as a private contractor, selling her skill as a fighter, spy and Sith sorceress to the highest bidder. As her ambition grew, she entered into a partnership with Darth Shadow, who offered to pass on his knowledge of Sith alchemy and sorcery to her in return for assistance. Denon was chosen as a headquarters because the planet is covered by a megacity, which means there's a lot of customers and plenty of anonymity. Naturally both had their own motivations, but for the time being the arrangement suited both. After Shadow's apparent death at the hands of Siobhan Kerrigan, Sumiko took charge. Since most of the Sith's minions were droids and Illyria fell in line, the takeover was quite smooth. Officially, Eidolon & Supplies Transport sells antiques and valuable art, operating under a rather mundane cover. Its real purpose is to create and sell items constructed with Sith alchemy to those who desire them. Of course, this means that discretion is very important, especially since Sith have a rather poor reputation in the current political climate. Sumiko vets all customers herself and makes most items herself. The business is small, but has potential for growth. Since it's a business run by a rather amoral lady whose main concern is profit, it does not turn away customers for violating moral standards or otherwise discriminate. Commissions are handled discreetly and professionally. The workshop is not publicly associated with Sumiko Tanaka, who runs it under an alias and employs techniques such as Force Clouding and Force Concealment to obscure her true alignment. The Dark Eldorai Illyria acts as as troubleshooter, 'acquisition specialists' and assistant in the alchemical creation process. The items created by the workshop tend to be of a rather dark nature, which means that darksiders are the likeliest customers. In a Galaxy of innumerable worlds, there is a power far mightier than the Force or fleets of battlecruisers: The Almighty Credit. Even Dark Masters require a source of income, even if that is generated via pillaging. In order to achieve this, Sumiko Tanaka agreed to become Darth Shadow's partner when he invested his funds into the creation of a private workshop that would sell artefacts and alchemised devices, which tallied with her own interests. Unfortunately, their partnership was cut short when Shadow was seemingly killed in his duel with the Dark Jedi Siobhan Kerrigan, leaving Sumiko the sole owner. After coopting Shadow's apprentice Illyria, Sumiko has taken the reins. Sumiko has a passion for arcana and studied the teachings of Sorzus Syn since acquiring her holocron during a quest. Through her time with the Witchmasters, Sumiko gained a basic understanding of the creation process for Dathomiri amulets and talismans. More recently, the Sith Lady managed to expand her influence by duping the members of a apocalyptic cult, the Covenant of Uriel, into believing that she was their prophesied saviour. In the process, she convinced them to make her their leader and purchase her products. Rationale: Tiering up to Tier III and moving into terraforming following the restoration of Mandalore. Display two examples of company growth in influence and/or finances OR territorial expansion. Display two uses of company operations. Kryze Incorporated is simply the holding company for the collective assets of Clan Kryze. Mandalorians are notoriously frugal and even the nomadic Clan Kryze, often considered poor by Mandalorian standards, has amassed considerable wealth. Now that the Clan has (for the time being) settled on Mandalore and Concord Dawn, they have formally drawn up registers of assets and established themselves as a business. The first ‘business’ of the company is the business of the clan: they primarily focus on mercenary work, close protection bodyguarding, hostile takeovers in the corporate area - they’re not a criminal group, all their work is above board, but with the chaos in todays galaxy a lot of things are above board. They do operate on a ‘no kidnapping, no slavery and no drugs’ rule which reduces their client range, but they are reasonably popular with mid-range companies looking for trustworthy, heavily armed warriors. The second business is in big game hunting and animal acquisitions, this has long been a source of income for the company and their pride themselves on being able to find and kill or capture pretty much any animal in the galaxy, anywhere in the galaxy, at a clients request. Finally, since they’ve established a permanent home, the clan have found that they have excess mechanics and shipwrights who are no longer required to maintain the clan fleet (which has in fact become the armed fleet wing of the company) and so have purchased a minor shipyard around Concord Dawn where they are producing several new designs based of old ideas which the clan have been trialling in a more ad hoc fashion for several years now. Following the cataclysm on Mandalore, the Clan found it's shipbuilding operations expanded, while it's hunting operations were curtailed due to the severe economic damage, with numerous vode facing hard times, Shia Kryze took a chance and expanded the company into the terraforming business - first through the construction of integrated terraforming components with Raxis Design Incorporated, then through the construction of integrated terraforming stations and vessels, and finally through retraining skilled hunters into conservation experts. As a consequence, the Clan now has considerable expertiese in planetary restoration, ecological repair and eco-engineering, something it hopes to put to use as a core business in a galaxy riven with atrocities. With Clan Kryze seeking to ‘settle down’ following the establishment of yet another Mandalorian ‘Empire’, they sent their best and their brightest ahead. Shia Kryze was one such person. Through good fortune or skill (it hardly matters which) she has made reasonable contacts within the current Mandalorian government. While not exactly a business administrator, her elder siblings are quite capable of taking on a number of those roles, and she has shown enough leadership talent to be appointed to head the company operations for the time being. Edited by Shia Kryze, 09 May 2018 - 06:32 PM. Modification Made: Change the V to a VI. Tier Up: Tier V to VI, baby. The Helix Syndicate, with a major controlling interest over spice from Kessel, enters an exclusive supply contract with SINN. Aligning with a powerful cabal of criminals. Seizing control of the Collective’s Nar Shaddaa territory. Our restricted material claim will be artificial intelligence. Edited by Helix Syndicate, 15 May 2018 - 04:58 PM. Modification Made: Swapped out the company logo. Changed the description and rationale as well as some other slight aesthetic changes, incl. 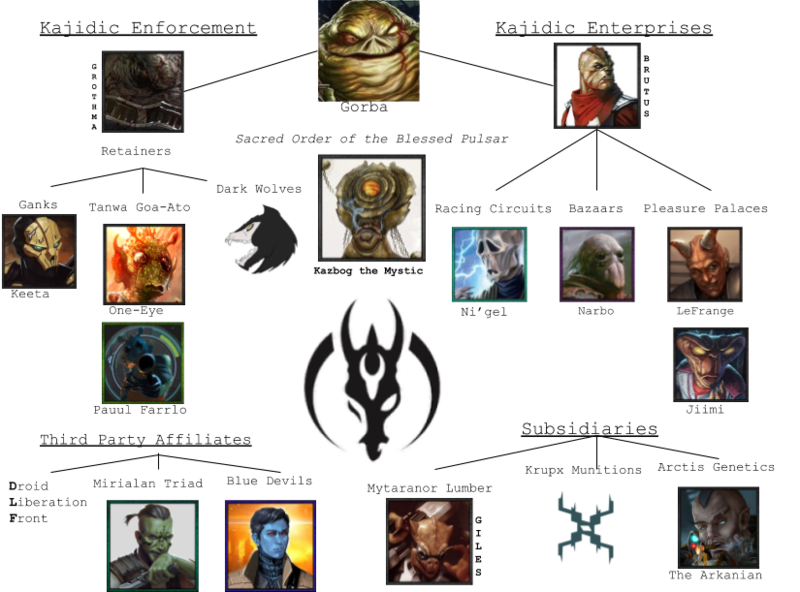 linking all locations with their respective Wookiepedia article. Added the new tier, the new operation, and the new location. Tier Up: Tier II to Tier III. Other: Changing "Aerospace Engineering" to "Naval Engineering" due to feedback from an FJ indicating that "Aerospace Engineering" would likely be associated with, e.g., airspeeders and smaller starships. Removing "Manufacturing (Tech, ...)" as that will be the domain of a new subsidiary. Changed "Investment" to "Finance" to better reflect the large role debt purchasing and collection plays in the company's operations. Sign a contract with two other different factions or organizations. (May be NPC). A Cerulean Proposition - Negotiated a deal wherein Apex Technologies would develop masers for VCH's starships, in exchange for a lump sum of credits. The Hive [Adrian] - Arranged a sponsorship with the Galactic Shockball League in exchange for positive publicity and certain rights relating to the stadium in question. Display growth through two passive expansions of your company. "Make three mass-produced products in the Factory. ": FS-01 "Striker" Multipurpose Starfighter, FS-02 "Eradicator" Heavy Bomber, and FS-03 "Storm" Swarm Droid. "Make three mass-produced products in the Factory. ": Gust-class Shuttle, Blixus-pattern Shock Collar, and Vakvita-class Defence Satellite. Display growth through one active expansion of your company. Rationale: Expanding the company in order to afford more snazzy toys. The purpose of Vandiir Consolidated Holdings has since its inception been twofold. The first, it loudly proclaims to all who would hear, the second, it would rather you didn't think about. Firstly, the company is defined by an uncompromising pursuit of quality and a dedication to keeping its employees safe, happy, and capable of giving the job their very best. Secondly, the company is owned and directed by a Sith and serves to expand his power base as he strives to climb the hierarchy of the Sith. Formed from these seemingly conflicting priorities is a company that is dedicated to ensuring the safety and prosperity of its employees and the Sith Empire at large, but is utterly ruthless against its rivals and anyone who would dare get in the way of its expansion. A company that respects and cherishes its customers, while ruthlessly exploiting those its Board of Directors deem "unworthy" or "expendable". Despite frequent violations against law and common decency alike, the company is dedicated to projecting an air of benevolence. For this reason, it employs oversized and well-funded PR, Legal, and "Janitorial" departments responsible for keeping its reputation pristine in the eyes of the general public. In stark contrast to its ruthless and frequently illegal activities in fringe regions, its conduct on worlds deemed "civilized", especially those in Sith-Imperial space, is frequently outright benevolent. While seemingly paradoxical, this dualism has served the company well, allowing it to exploit many an opportunity without thinking too hard about the ethical implications, while simultaneously keeping a clean house at home. Whether or not the company is a boon or a bane upon the galaxy is an open question, but whatever the case may be, one thing is for sure: Regardless of what one might think about their ethical practices, one can hardly deny the efficiency of their business model. Every Sith needs a power base. For Adrian Vandiir, that power base began as Vandiir Holdings, handed down to him by his parents after a traumatic event on Nal Hutta led them to retire from the cutthroat world of interstellar business. While initially fairly stagnant, largely due to its owner undergoing training in the ways of the Sith, the business eventually started growing after a bit of restructuring. Previously focusing primarily on locating promising new ventures and investing in them, the business model was expanded by the new owner to include the purchasing of weak debt and its collection through some ethically dubious, but undeniably efficient, means. Eventually, after amassing considerable funds through cutthroat business practices and loans from House Terassi, Adrian's Serennian family on his mother's side, the decision was made to drastically overhaul the business model. Renaming the company to Vandiir Consolidated Holdings, he expanded its reach to Bastion and then Dromund Kaas, recruiting a number of new employees and building factories and R&D facilities. The company then began the difficult process of adapting to the drastic change from focusing solely on finance, to constructing starships and technological appliances. In the short term, it would hurt the bottom line, but in the long term? In the long term, expansion was necessary. The Galaxy was rife with opportunities, after all. Opportunites which the newly styled Executive Director was eager to begin exploiting. Knowledge was power, that much was true, but the almighty credit came in at a close second. Edited by Adrian Vandiir, 17 May 2018 - 11:59 AM. Rationale: To progress Mishel's workshop and reflect some of the personal commission's she conducted. Still owned and operated by Mishel, and still Mishel embeds a special serial number for all her creations. The former Knight of Ren travels the galaxy searching for lightsaber crystals both new and old. Commissions and products are sold on a case by case basis, recently Mishel's put out a few feelers to force users within the Outer Rim Coalition to seek her when and if they would like for her to create a specialized lightsaber. She still produces very few lightsabers per year although has increased this to a total of six per year. Mishel still creates a customized case, holster/belt hook for the lightsaber and still delivers the commission in person. Mishel's decided to give this workshop another go, this time relocating much of her workshop to the Pau City Blockade Runner she earned after defending Pau City from Mandalorians. This serves to help Mishel get around, gathering materials and supplies throughout the galaxy aided by her secondary ship the Argosy which serves to protect the primary Pau City Blockade Runner. This also makes it easier for Mishel to deliver products and commissions to those who request them. Edited by Mishel Noren, 14 May 2018 - 06:40 PM. Galactic Alliance: Primo Victorian Shipwright came to task when Galactic Alliance Supreme Commander Aryn Teth asked for aid in constructing their Super Star Destroyer. Naturally, the Alliance’s SSD developed into a typical Imperial Star Destroyer. Primo Victoria then gave to the Alliance technology that had once been developed for the First Order. Display six examples of company growth in influence, finances or territorial expansion. Display six uses of company operations. Primo Victorian Shipwright a premiere shipwright company, owned and operated by Fiolette Yvarro, retired Grand Admiral of the First Order. Primo Victoria works privately with other corporations and governments to evaluate and meet their naval/ship needs. Whether that’s building a new ship or revising a fleet, Primo Victoria will be there for its clientele. Primo Victorian Shipwright does more than build ships, they’re also known for constructing space stations and developing new armament and defensive systems. Electrical Systems Engineering working within the electrical systems of ships or stations and finding new ways to improve those systems. 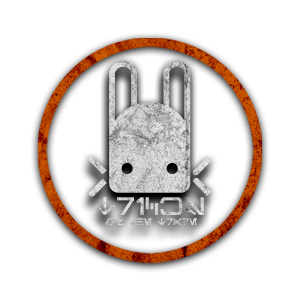 Headquartered now on Botajef right along the Hydian Way, Primo Victoria has operations on Iziz, Dxun, Contruum Six, Gall, Shimia and Bilbringi and has recently closed their Bespin and Tokmia offices. Opening new offices on Corellia and Tatooine, the shipwright company has also produced four trade stations mostly along the Mara Corridor and have begun expansion near and in Sith Imperial territory. Primo Victorian Shipwright started as Primo Coruscanti Construction before the original owner sold the company to Valessia Brentioch who at the time lived on Dosuun. The company then became Primo Victorian Shipwright after the city in which it was initially headquartered after the move from Coruscant. When Valessia could no longer maintain the company she sold it to someone who would have a better understanding of ships. That someone was Fiolette Yvarro who at the time was a Fleet Admiral with the First Order, and while she served with the First Order she could scarcely afford to pay attention to the company and its needs. Thus it served the purpose of assisting the First Order Corps of Imperial Engineers and nothing more, however; when the First Order renewed its aggression's with the Galactic Alliance she parted ways with the first imperial nation. Retired, Fiolette Yvarro devoted her time and effort to making a real go of Primo Victoria and that meant seeking contracts and investments. So with her personal ship the Fleetwood she moved about the Galaxy securing those contracts. All the while using the licensing fees from the First Order to help provide some of the basic funding for new products until such time she no longer needed to rely on the First Order. 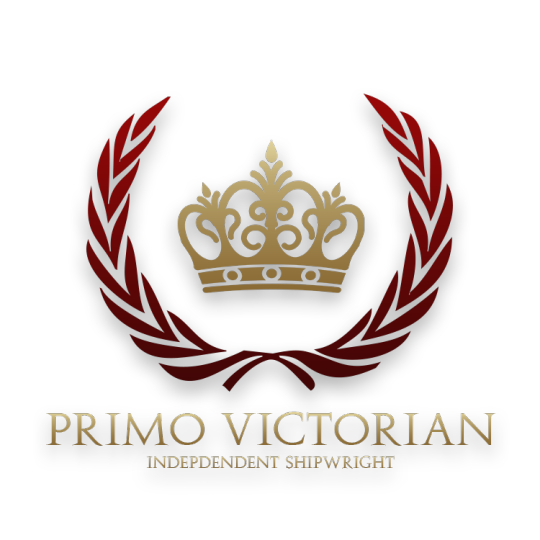 Now that time has come Primo Victorian Shipwright is now a fully independent company capable of producing a wide range of vessels, space stations, starfighters and systems development. Edited by Fiolette Yvarro, 15 May 2018 - 01:21 PM. Sign a contract with two other different major factions OR Tier 5+ companies or workshops. Display growth through three active expansions of your company. Successfully complete a project of major proportions. Galactic Alliance Ship Procurement Project. Replacing and upgrading a significant fraction of the sub-capital fleet. Obtain the permanent sponsorship of a major faction, OR the sponsorship of a different Tier 6 Company that is not a previous contract, OR a substantial expansion in another way. Sign a contract with three additional player run organizations, one of which must be a major faction. Display four examples of company growth in influence and/or finances OR territorial expansion. Display four uses of company operations. Haven Shipyards is the shipwright subsidiary for Arceneau Trade Company. As alluded to by the name of the company, Czerka Mining and Industrial revolve around two main goals. The first is the amassment of raw materials through mining. Through this, the corporation and its main branch are provided the means to produce more goods for less by cutting out the "middle man". The second goal is the production of vehicles and starships, much akin to those of "Classic" design, for the modern market. Following the approval of the subsidiary's creation by the main branch's board of directors, three worlds were selected for new facilities to be built. These worlds are known to have pre-existing facilities of the main branch, thereby making the purchasing of additional land and construction permissions significantly easier than meeting with new sources. On Kalee, the main offices of Czerka Mining and Industrial can be found, upon which sales and custom orders can be made. Tatooine and Dantooine are both home to mining facilities, with Dantooine also home to a refining facility. Tatooine also houses the main production facilities for Czerka Mining and Industrial, and the corporation has announced plans to create more in the near future. This is when disaster broke. Tyri Lsu, the CEO of Czerka Arms dropped off the face of the galaxy. In the chaos that ensued, Cade Lee of Blastech took advantage and managed through corporate espionage steal the designs for Czerka Arms. The drop in stock from Czerka Arms affected that of Czerka Mining and Industrial. Stocks plummeted and the future of the shipyards was unknown until Danger Arceneau of Arceneau Trade Company took action. Buying the deteriorating Czerka stock along with Jared Ovmar and Marek Starchaser, they proceeded to take charge of Czerka Corp and it's subsidiaries. Splitting it into four distinct new companies, Danger assumed control over the newly dubbed shipyards -- Havan Shipyards. These shipyards would oversee the building of freighter transports, speeders, and other vehicles. Czerka Arms in regards to its droid manufacture and arms production was now created into a smaller but fresh-faced entity, Browncoat Arms & Industrial. The mining and mercenary sections of the company were left to Jared Ovmar to oversee, while the rest went to Marek Starchaser of Brightstar entertainment. Current projects are expanding towards utility and support ships in conjunction with assisting MaraTibx with terraforming and fueling spaceships and products.Also includes enhancing ship components via isotope-5 and enhanced sustainable fueling options. The buy out of Omega Pyre also brought along with it the vast shipyards at Fondor.Normally under corporate rule with Omega Pyre, this acquisition allowed the vast resources and facilities of Fondor Shipyards to be absorbed within Haven Shipyards.Expansions on Manas and Bandomere also expanded productions of the shipyards and the manufacturing capabilities. Corporate Calls- Planing between Jared Ovmar, Marek Starchaser, and Danger Arceneau to get together to plan taking over Czerka Arms and its subsidiaries. Czerka This and Czerka That - The execution of the plan to take over Czerka Arms and its subsidiaries by the purchase of stock. Streamlining of business process management and a follow up course of action to split the company into different facets culminated in the creation of Browncoat Arms & Industrial and Haven Shipyards as new subsidiaries of Arceneau Trade Company. Per Canon CompaniesRPJ Asemir Lor'kora has been contacted to over see the original inactivty of Czerka arms. That 72 Hour notice ends today, but as ATC is not keeping the "Czerka name" nor will Jared Ovmar and Marek Starchaser, it will once again be open for claiming by another third party -- only the name, not the products. Edited by Saffron, 21 May 2018 - 07:18 AM. Edited by Kuat Drive Yards, 17 May 2018 - 03:58 AM. Modification Made: Please unarchive. I don't know why it was placed in the archives to begin with. Corporation Name: MandalMotors Technologies Inc. Originally founded by Gustav Zenlav before the battle of Yavin, the company created numerous star ships. During the Clone wars control was seized by the Mandalore the Resurrector and has since been passed down the line of successors in order to ensure that the profits made by the productions can be used to develop and better the Mandalorian community. 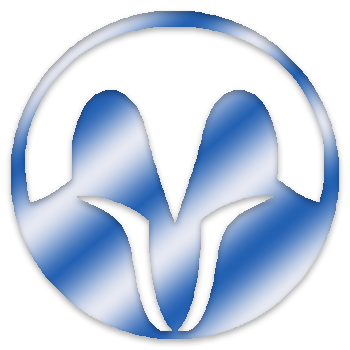 Previously, a largely neutral company, MandalMotors is the driving force behind the economy of Mandalore, and sold its many products to any interested party willing to pay the necessary credits. The company was more or less allowed to run independently of the Mand’alor during the Gulag Plague, keeping many of its assets. During the Rebuilder’s rule the company saw a small amount of growth before landing in the hands of Mia Monroe who in turn passed it on to Gilamar Skirata, primary share holder and senior member on the board of directors. Through a series of deals and various construction works, MandalMotors slowly grew into a force to be reckoned with, expanding its reach and influence throughout Mandalorian space, setting up factories on various worlds. Recently the company has grown large enough to fund and absorb other smaller companies such as the wildly successful Daw Motors and the Mandalorian native company Mythosaur Customs and Arms. With its large and incredibly modular home shipyard along with the ability to use the shipyards of Yaga Minor, MandalMotors has plans to continue its progress, taking the galaxy by storm. However after several years of corporate rivalry between itself and Mandal Hypernautics it fell to the wayside of its rival company's superior tech and thus shifted its focus to research and technology of the every day consumer. After Mia Monroe laid waste to the surface of Mandalore, the company incurred a large drop in market sales. Due to lowered profits and overall revenue MandalMotors hired on Mandalorian Zeke Farthen as the CFO to increase profits and clean out management. Unfortunately upon his arrival the Mandalorians underwent a Civil War which ravaged the world even further. After the Death Watch claimed the planet, Death Watch soldier Dorn Skirata initiated a hostile takeover of all his Alor's assets, including MandalMotors and its subsidiaries and threw the company into overdrive producing new starfighters and capital ships for the Mandalorian Empire, rapidly expanding its profit margin and influence in the Mandalore Sector. Gilamar Skirata had been a long time employee of MandalMotors, working for several decades at the Shipright post Gulag Plague. During his absence however, the war with the Sith created a need for a near direct control of the company by the Manda’lor. After the Liberator “retired” Gilamar Skirata took the reigns as senior employee as well as primary share holder of the company. Since then he has improved the company by leaps and bounds through the help of allies and friends. However as the years went on and the company grew, companies such as Mandal Hypernautics and ArmaTech Industries grew even faster, especially during Gilamar's supposed death when then acting Mand'alor Azrael Skirata had taken over the company. However, during that time MandalMotors' finances and subsidiaries suffered a great deal and thus the old CEO was forced to pull many items from production or development to refocus on its finances. Again his rival companies flourished, becoming the two largest supplies of Mandalorian Military tech. With MandalMotors left to the wayside by these corporate giants, Gilamar decided it was best to withdraw from military contracting and focus more on research and development of technologies as well as shifting its focus to the every day consumer. Thus MandalMotors Technologies Inc. came to be. Unfortunately Gilamar Skirata perished in the hostile takeover of his company and the company was taken over by Dorn Skirata and his CFO, Zeke Farthen and contracted by the Mandalorian Empire to produce ships of war once again. Sign a contract with another two different major factions OR Tier 5+ companies. Display growth through three passive expansions of your company. Obtain the permanent sponsorship of a different major faction, OR the sponsorship of a different Tier 6 Company that is not a previous contract, OR a substantial expansion in another way. Edited by Gilamar Skirata, 26 May 2018 - 06:02 AM. Corruption - The Bareesh Kajidic makes a deal with Point Nadir, the Coratanni Cartel, and the Helix Syndicate and the four organizations seize Kwenn Space Station. 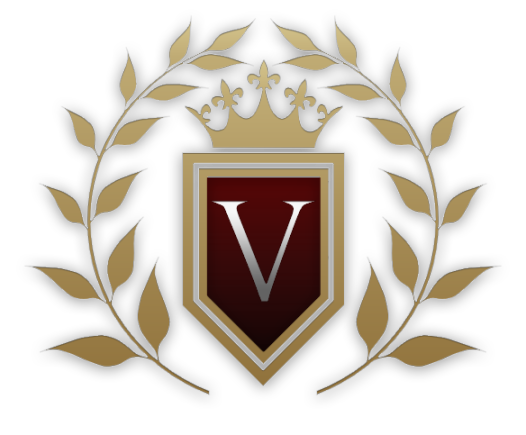 Sign a contract with three additional player run organizations, one of which must be a major faction OR tier V+ company. Bring Me Your Loves - The Bareesh Kajidic makes a deal with Point Nadir after the seizure of Kwenn Space Station. Dead Trees - The Bareesh Kajidic sends Rodian hunters to collect Wookiee pelts for the Helix Syndicate to ensure negotiations on Trandosha go smoothly. The Ancient Eye - The Ancient Eye hires the Bareesh Kajidic to defend their planet. The Blue Devils - Hutt-controlled swoop bike gang in New Vertica. Striking While the Iron is Not - Bareesh Kajidic tries and fails to abduct an Iron Empire scientist. Slavering Jaws - A Kajidic enforcer helps some Trandoshan slavers. All That Glitters - The Bareesh Kajidic attempts to heist ships from the failing Iron Empire. The Great Galactic Heist - The Bareesh Kajidic attempts to heist nations across the galaxy. Primary Source: http://starwars.wiki...ds_of_Nal_Hutta(*cited from Lords of Nal Hutta page 26). Like their forefathers, the Hutts Gorba, Kazbog, and their cousin Nor'baal Durga seek to return Kor Bareesh to habitability; but Kazbog is more concerned with recovering the lost riches and artifacts of the Hutt world than with terraforming it. Gorba Bareesh Laglan, aka Gorba the Hutt, is a member of the Bareesh Hutt Kajidic. His father, Lorca, sought to expand Bareesh holdings and restore the kajidic to its former glory. However, Lorca lost a turf war against the younger Vermilic Kajidic and was assassinated. Fortunately, Gorba has managed to prevent Bareesh from becoming absorbed into Vermilic. He has taken over the family business as Kajidic Lorda. However, he is a young Hutt, likely to be ignored by the Hutt Council, and he faces many threats from the rival kajidii. Consequently, he is unlikely to govern from a central location, like most of the more venerable Hutt kajidii, but will instead take a more active role in the kajidic’s day-to-day business. Edited by Gorba the Hutt, 20 May 2018 - 03:05 PM. Sign a contract with three player-run organizations, one of which is either a major faction or a tier-5+ corporation. Display five examples of company growth in influence and/or finances or territorial expansion. Display five uses of company operations. Rationale: Yula realized that, to further the cause of the Commonwealth, a suitable vehicle for propaganda was required. So she took out a commercial loan in order to purchase the tabloid from an ailing Sith Lord. Realizing, however, that, to make the propaganda vehicle work, a hook is necessary, that is, maintaining the tabloid activities. Also, it provides the Rebellion with a source of income, despite its name and owner making it associated to Sith. In addition, she realizes that the manufacture of electronic games can be a profitable avenue to spread anti-Sith propaganda. Also, due to the areas of activity of the Comminwealth, some of the games have also featured pro-Commonwealth content. And, under new management, came the ergonomic assessments and fitness. Description: The Sith Inquisitor's business is twofold: in the first instance, it operates as a newspaper with a significant tabloid component. However, the tabloid is a little peculiar in that it provides more room than normal tabloids to the intellectual upper crust among Force-users, light-sided and dark-sided, which the previous administration felt was overlooked by most tabloids, yet envied by so many potential readers. Of course, it also follows the lives of the rich and famous, and, despite its name, makes an effort to cover both light-siders and dark-siders, knowing that restricting themselves to one side of the Force would limit the amount of content. And, while its journalistic standards may be a little... questionable, it nevertheless attempts to cover current events. Given its concentration of staff near the Pacanth Reach and the Stygian Caldera, many stories are run on the Sith Order. It is also famous for being attacked by the Sith Order in its headquarters on Ziost. The Sith Inquisitor went from weekly publishing frequency to a daily frequency while also increasing circulation. Also, its gaming activities are designed to at least require some strategic effort on the player's part: from TRPGs, which are described by Sith Inquisitor staff as games of dejarik where the pieces and equipment evolve with the player as the game unfolds, to fleeting simulators, making use of the OmegaTM system, allowing players to fight with a wide array of starships available to the galaxy, using a wide range of parameters. The SI staff feels that it is important for players to be challenged as appropriate but also to offer a window for escapism that allows people to delve into what their heroes do. Finally, after a run-in with workplace health and safety on Tarhassan, the Sith Inquisitor decided to enter the largely undeveloped market of ergonomic assessments by buying a failing company doing ergonomic assessments. As a result, it is becoming known for ergonomic assessments across CSA territory and the Stygian Caldera, where its media base allows it to market ergonomic assessments effectively and widely, holding a near-monopoly on ergonomic assessments in the Caldera, and also becoming the largest company in the galaxy performing ergonomic assessments, with new forays into fitness. The Sith Inquisitor: ergonomic assessments for everyone! Image Source: Joseph Cross with edits. Tricks of the Trade is a small time operation based in the district slums of the bustling ecumenopolis that is Terminus, specialising in the development and sale of unconventional weapons and technology that could hypothetically be considered less-than-strictly-legal in most civilised sectors of the galaxy. As discretion is an obvious concern in such a line of business, the workshop is cunningly concealed beneath a fast food diner and noodle bar, with the main entrance located behind the facade of an out of service refrigeration unit in the diner’s basement. An additional access point feeds in from the disused access tunnels that form a veritable labyrinth beneath the distract, taking full advantage of the nearly forgotten routes of the Terminus era prohibitionists of the late 700s. Unfortunately, such privacy comes at a hefty price on square footage, with the workshop itself being an extremely cramped, somewhat dingy bunker like affair. In colloquial terms, it could be described as being barely large enough to swing a Loth-cat, but that’s assuming you really weren’t particularly fond of said feline. What it lacks in space, it more than makes up in utility, however. Being full equipped with a variety of tools, gadgets and computer systems to handle a variety of projects. Tricks of the Trade was established as an independent side project of Dashiell Kessler, aimed primarily to help fund his chosen lifestyle and facilitate his love of tinkering. The business itself is a fairly modest, private endeavor that caters almost exclusively to clients gained by word of mouth, filling perhaps no more than half a dozen orders at any one point in time. I need you to link your company submission for the promotion to be accepted. Sign a contract with three player run organizations, one of which must be a major faction OR tier V+ company. Display six examples of company growth in influence and/or finances OR territorial expansion. Edited by Nadir, 26 May 2018 - 05:00 PM. Modification Made: Tier up from Tier I to Tier II. "One Personal Commission or Two Specialty products." Rationale: The greater the tier, the greater the villainy. I mean, benevolence? New Submission: Change "Tier I" to "Tier II" and change the "Tier 1" tag to "Tier 2".